Alabama’s rivers offer some of the best recreational opportunities in the United States. Whether you are looking to reel in some largemouth bass, head for some whitewater in your kayak or canoe, or just cool off with a swim on a hot summer day, Alabama’s rivers have something beautiful awaiting you. 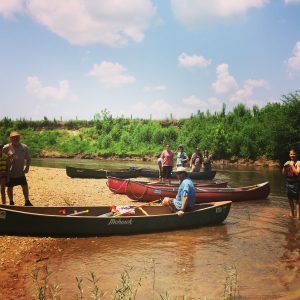 Whether you enjoy the relaxation of floating down a peaceful stream or the rush of navigating intense whitewater, Alabama’s rivers have something for you. 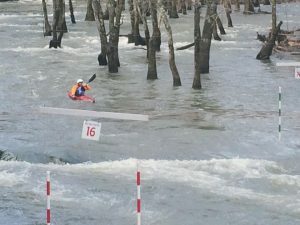 Alabama’s great new river trail is the longest water trail in any single state of the country, beginning at the Georgia state line and winding its way across nine beautiful lakes, with scenery ranging from magnificent wildlife preserves and steep stone cliffs to the tranquil beauty of the secluded creeks of the Delta region—the second largest delta in the US. The Trail follows seven rivers and two creeks through a wide variety of types of paddling and scenery. After passing through the Delta, the route follows the eastern shore of Mobile Bay, ending at historic Ft. Morgan. An active paddling club for kayakers as well as canoeists offering paddling instruction, safety training, organized outings, monthly meetings, social events, merchant discounts, and more. A group of people interested in paddling all types of self-propelled craft – canoes, kayaks, and sit-on-tops – on a variety of types of water. Members’ skill levels and experience range from newcomers to the sport to experts, and our preferred venues range from local lakes to the wildest of white water. This club offers monthly meetings, organized trips, safety and trip leadership training, and more. Detailed descriptions of Alabama paddle trips including maps, directions, photos, and more. Looking for a place to cool off on a hot day? Visit one of Alabama’s many swimming holes. Just be sure to confirm that your waterbody is clean, and remember to support river conservation groups to keep it that way! Check out Swim Guide from our alliance partners! Alabama features a number of hiking trails that run alongside its beautiful streams and rivers. Hiking Alabama – A collection of information about Alabama’s hiking trails. 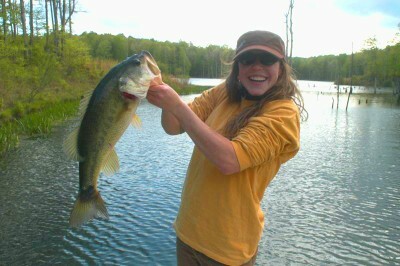 Elizabeth Brooke reels it in! Whether you enjoy fishing freshwater or saltwater, Alabama is a state rich with opportunities for the “one that got away”.